Sight Gag: If You Were A Train, What Would You Be? Photo Credit: Anonymous E-Mail (With thanks to Maurice Charland who brought it to our attention). I think you got the pictures mixed up! 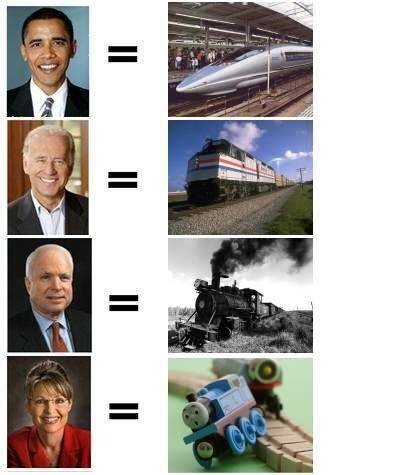 The Abamination (Barak Hussein) would be amply suited to have a disastrous train wreck picture next to him. at the above commenter: shouldn’t that be . 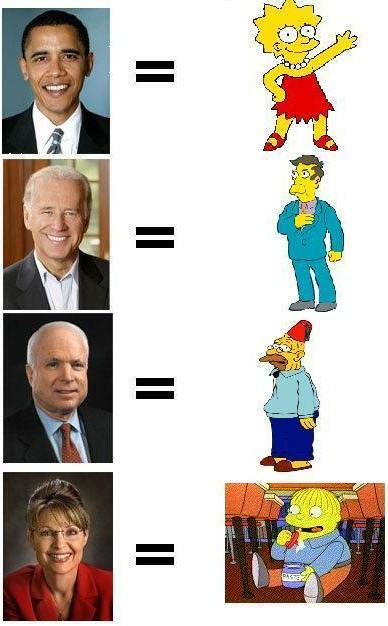 . . the Obamanation? this is wonderful, i wish i knew who made it. If I were a train, I would be “the little engine that could” and don’t you be dountin’ it!!! Anonymous is very accurate, may be credited to an anonymous user on the world’s largest free english image board. At least that is where I first saw it months ago This image often reemerges when discussion involving politics arise. The website is http://www.4chan.org, however I dont’ advise anyone from here going there, it is often filled with the worst things the internet has to provide and very rarely produces a gem of this magnitude.